I suspect we might hear about strange sky phenomena and UFOs occurring over the US Eastern Seaboard tomorrow, thanks to NASA’s ATREX mission. After previously being scrubbed, the next launch attempt has been set for the wee hours (2am – 5am EST, or what I might consider late tonight) of March 27. ATREX, or the Anomalous Transport Rocket Experiment, is designed to study ultra-high altitude, high-speed wind patterns that have been observed on the very edge of space1. Data suggests that 200 – 300 mile-per-hour winds occur at an altitude of 62 – 68 miles; though little is yet understood about the phenomena. The atmosphere at that height is incredibly thin, and it essentially takes a rocket to get there. The project will complete its test with the use of five of what are referred to as sounding rockets, launched within minutes of each other. These sounding rockets are smaller than those that are used to achieve orbit or carry heavier payloads, but will work just fine for this experiment. 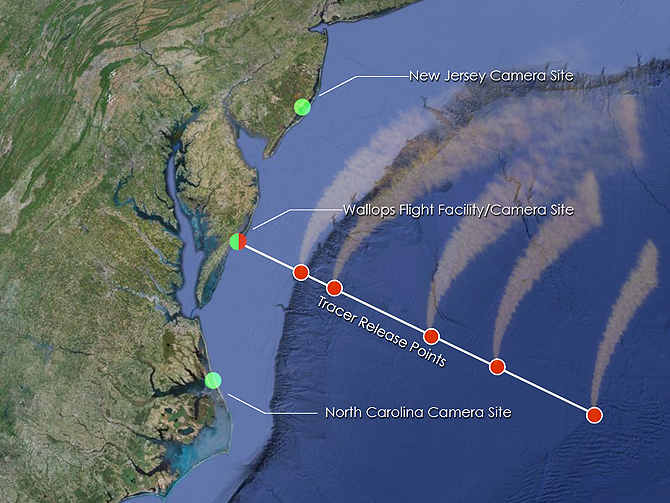 After reaching an altitude of 50 miles, the rockets will release a chemical tracer that will be observed from camera facilities both North (New Jersey) and South (North Carolina) of the Wollops Flight Facility in Virginia. The chemical, trimethylaluminium, was selected due to its reaction to oxygen; it glows and produces aluminium dioxide, carbon dioxide, and water vapor (each already present in our atmosphere). For more information, you can follow the Wollops Flight Facility on Twitter, and check out the video below. While I recognize that this video is a departure from my primary focus on the space sciences, I just had to share this video. My kids and I made this video as we explored the interactions between milk and dish soap, using food coloring to make the interaction visible. Kind of neat, yeah? The video should show you everything you need to know to try it yourself. The degreasing elements of the dish soap break up the fat in the milk (whole milk will work better than reduced fat), and the food coloring is along for the ride. I bet you have everything you need to try this yourself, so what are you waiting for? NASA recently released its first multiplayer Facebook game, Space Race Blastoff. It’s a competitive trivia game, in which you’re pitted against random opponents from around the world. You earn points for correct answers and bonus points for getting the correct answer first. I’ve played a few rounds and was actually surprised at how challenging some of the questions were. For example, you might be shown a photograph an astronaut and have to answer whom it is. I got Tom Stafford right, but didn’t recognize Stanley G. Love. Other questions aren’t specifically NASA-related, ranging from questions about the periodic table of elements to pop-culture references. If you’ve got a few minutes to spare and want a quick and fun test of your space sciences knowledge, give it a shot! The Journal of Cosmology recently published a proposal (Journal of Cosmology, 2010, Vol 12, 3619-3626.) for the exploration settlement of Mars. This proposal, however, is a little different than most consider when thinking of interplanetary travel. These missions would be one-way. Myriad space-exploration resources and money go into making the return-trip possible, and many argue that that cost is too great, financially and politically. The authors of the article, Drs. Dirk Schulze-Makuch and Paul Davies, agree. They say to scrap the return mission. What they propose is that we (the humans of Earth) send two space crafts to Mars, each with two people on board. Those initial four people would create the infrastructure and conduct science and research for future one-way missions. Prior to this, some robotic exploration would be advised, to deploy power generators, deliver a couple years supply of food, supply agricultural equipment, seek out areas on Mars suitable to shelter human habitation (lava tubes are mentioned), and to research any Martian biota that may exist (primarily to understand what effects it could have on human health, as well as what impact human interference could cause to Martian life). Future missions would follow, bringing additional tools, supplies, and resources, and additional human inhabitants. They reason that within several decades after the first pioneers land, a possible population of about 150 Mars emigrants would exist. This could constitute a viable gene pool for a permanent reproduction plan on Mars. Why? I can think of thousands of reasons. For starters, because the project is technically feasible to begin today. With current technologies and capabilities, a successful mission of this sort is quite feasible. We did it on a nearer scale with the Apollo missions to the Moon, and that was more than 40 years ago. 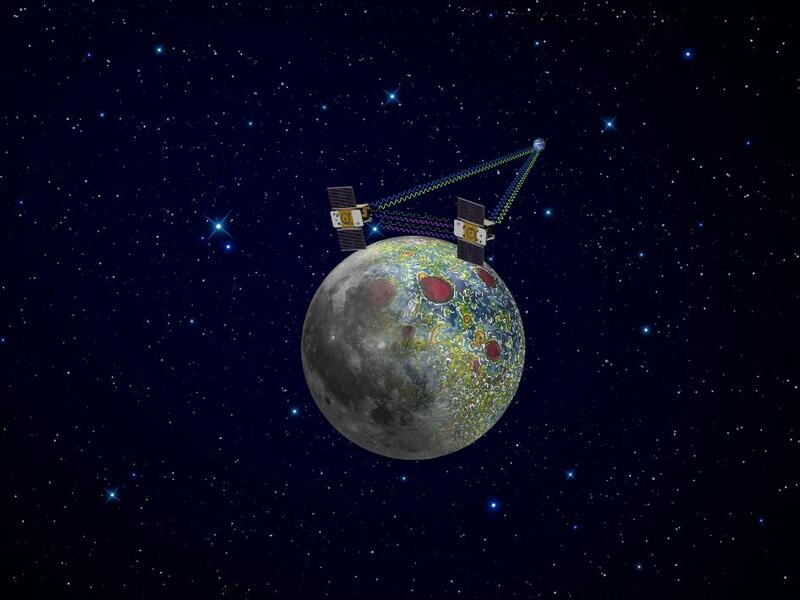 Sure, there are greater challenges related to the distance (about 6 months with current chemical rockets to Mars vs. 3 days it took the Apollo missions to get to the Moon) and environment of Mars compared to the Moon; but again, you can subtract the return portion of the mission from the equation. Mars is the next step in the walk of human destiny. If we can’t muster the political will to take that step, then our journey is over and we’ll live out the rest of our existence — a flash in time — on this currently habitable rock. The question we must ask ourselves is whether or not this is good enough. I’ve spent hours staring at Mars, whether with my eyes, or through the eyepiece of my cheap telescope. If given the opportunity to participate in one of these missions, I’d sign up; if for nothing else, to have the same view of Earth, behind the eyepiece of a cheap telescope on Mars.